Here's a question for all you National Trust members: why did you join the National Trust? I joined because I wanted to go to Chartwell. When I got there I realised that if I paid just three times more than the one-off entrance fee, I would be able to visit hundreds of places instead of one. I only got a C at GCSE Maths but I'm not completely stupid. Anyway, in the four months after that visit I made it to the grand total of ZERO other properties. And if I had continued to not visit any properties I would not have renewed my subscription. 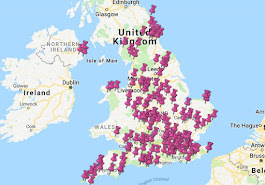 Then I started this blog and visited loads of properties. 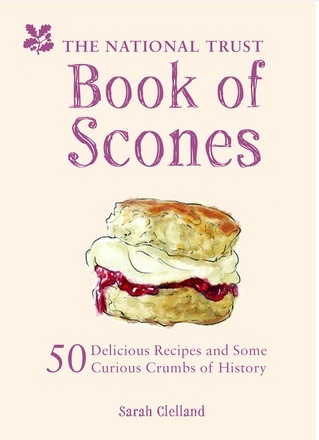 If the National Trust had taken offence to me criticising their scones and banned me and you'd asked if I was going to cancel my membership I would have said "No. For I now know that I'm not just paying for my own entertainment. My cash goes towards the protection of marvellous buildings and areas of beauty and if I happen to visit them, good. If I don't visit them, they're still there and I'm still helping to look after them." But my views were changed again by To The Manor Reborn. It's a BBC TV programme about a team trying to do up a National Trust property (Avebury Manor) in 6 months. I'd missed it when it was originally shown in February 2012 so I bought it on DVD following my trip to Avebury. To The Manor Reborn is a cross between Countryfile and Flog It and it is a fascinating watch, but the thing it really brought home to me is that your National Trust subscription fees are actually sustaining heritage SKILLS as much as properties. Take the woman that made the Tudor-style rush matting that you find at Avebury and at Hardwick Hall - I hadn't really thought properly before now about where that comes from. 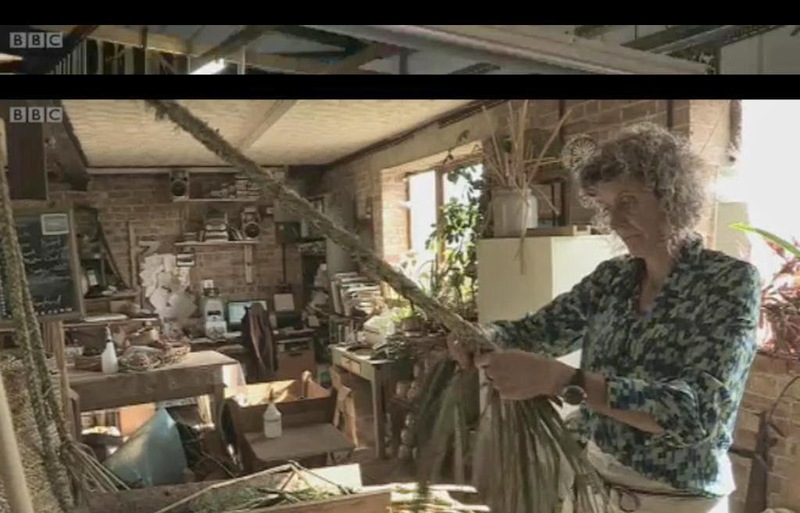 Now I know: a woman gets on a boat and expertly cuts the rushes, then she plaits them and creates the mat, and then she lugs them out of a van to unroll them onto the floor of a National Trust property for you and I to walk on and say "what a smell!". I presume that the National Trust (and other charities) provides her with a living and thank God they do. Her skills shouldn't be allowed to disappear. And there was LOADS of this. Furniture-making, glass-blowing, silk-weaving, embroidery, carpet-making, wallpaper-hanging, restoration - so much painstaking expertise and it came from all over the place: "Meanwhile, in Northern Ireland they were making our carpets" and "Luckily, Dave's found a kitchen range from the right era in a house in Liverpool". The (slight) problem was that the programme wasn't sure what it was doing. 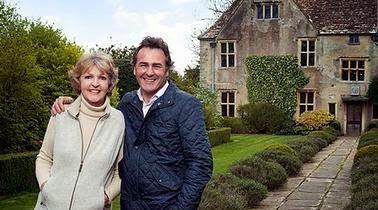 On the surface it was Paul Martin (from Flog It) and Penelope Keith (who only seemed to be there so they can could call it To The Manor Reborn) biting their knuckles and saying "but will it get done in time, there's so much to dooooo" a lot, which gave you the sense of DIY SOS or Changing Rooms. Speed seemed to be the key thing and I feared corners being cut and designers winking at the camera while trying to hoodwink the National Trust people into thinking that the crockery was Georgian when it came from Lidl. But it wasn't like that at all. There was no corner-cutting that I could see. The commitment to authenticity and the depth of expertise and the skills that went into everything, from the wallpaper to the beds, were amazing. It had to make good TV though and and the programme makers got their quota of "it's all going down to the wire! We hand over to the National Trust TOMORROW!" angst shots. There was plenty of Penelope and Paul saying "can I have a go?" and getting in the way of the bemused Chinese pottery makers and wallpaper painters. And there was a heated debate at one point about a headboard or something, but ultimately it was a programme about authenticity and how it's possible to create an interesting and engaging visitor attraction when you really don't have very much (the house was empty when they started). It also caused a heated debate between me and my scone sidekick. The designers wanted to make Avebury very touchy-feely - you won't find any pine cones on chairs at Avebury, as the furniture has been specifically made for you to sit on it or lie on it. This makes it a very different experience from the 'touch this and 6 dogs will appear and tear your limbs off' vibe that you sometimes get (and for good reason). I thought this was great - seeing brand new furniture made in the old style - but the sidekick disagreed. He'd rather see the genuine article that James I actually sat on, even if it's about to fall apart and is behind an inch of glass. ANYWAY. I really enjoyed To The Manor Reborn, even though there wasn't one single mention of scones, and it showed me that being part of the National Trust is about preserving much more than the buildings themselves. It's about preserving skills and heritage in a much broader sense. I heartily recommend it - you can buy the DVD from Amazon for £7.50.